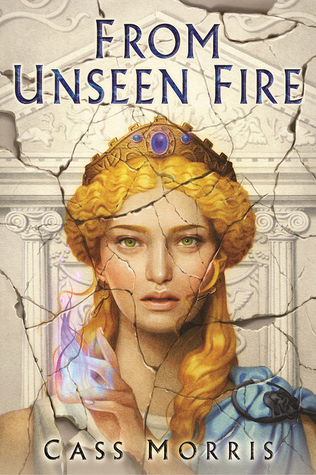 From Unseen Fire is the first book of the Aven Cycle, a historical fantasy series set in an alternate Ancient Rome. It also features a strong female lead and is a debut novel to boot. I think I need this book in my life! “The Dictator is dead; long live the Republic. Ooh interesting! That’s a totally new to me one! Hope you love it once you read it! Sounds like an interesting pick and this is the first time I’m seeing it. Nice choice! Alternate history ancient Rome – colour me happy. This could definitely be a book for me. This one is new to me! Awesome cover too. An alternate Rome sounds like a lot of fun. As do elemental mages. Nice pick! Hope you will love it when you read it! Lately, Ancient Rome seems to be very much in demand as far as historical fantasy is concerned, and this book seems to be pushing all my right buttons. I’ll keep an eye on it, thank you so much for sharing!